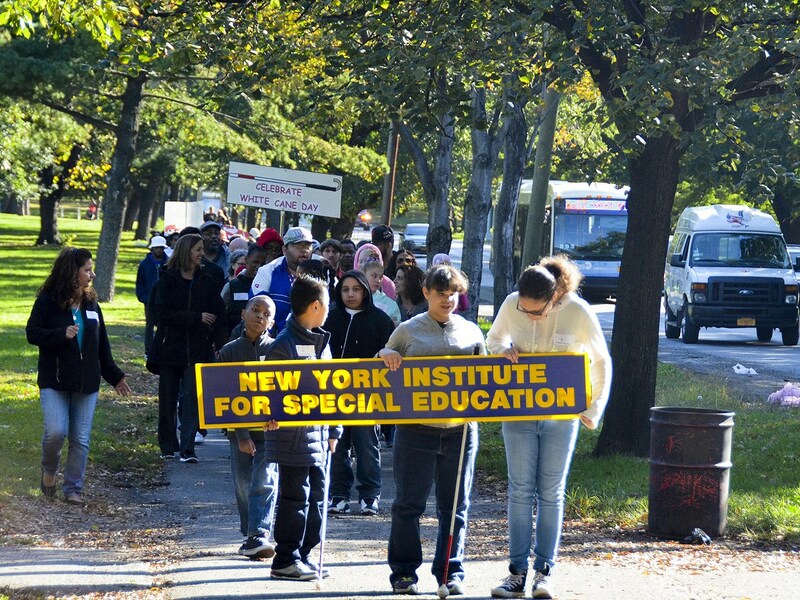 The New York Institute for Special Education takes a leadership role on issues that affect the lives of our children and staff. We advocate for better funding, promote a greater understanding of the curriculum needs of our pupils, and communicate with state and national leaders to help them understand the needs of our special students. The mission of the 4201 Schools Association is to enhance and advocate for the education and future of New York's children with low-incidence disabilities. 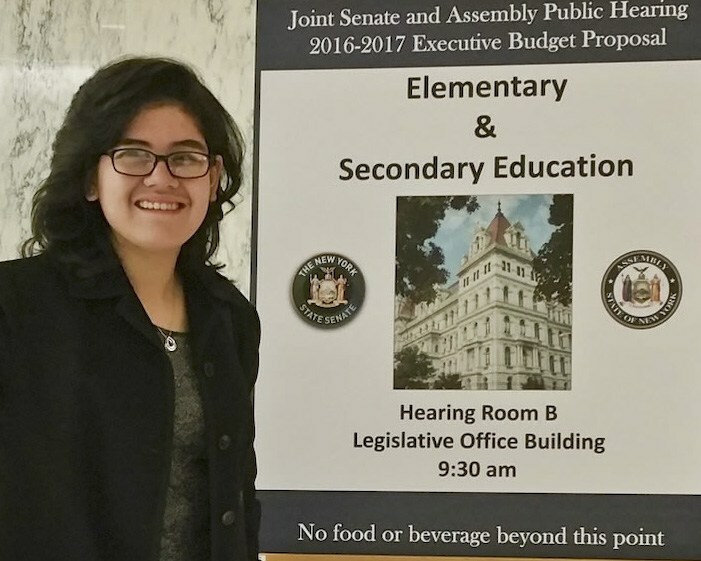 We are proud to share that our Executive Director Dr. Bernadette M. Kappen is the current President of the 4201 Schools Association and recently visited Albany as part of Advocacy Day 2018. To watch her testimony from that day, click here. 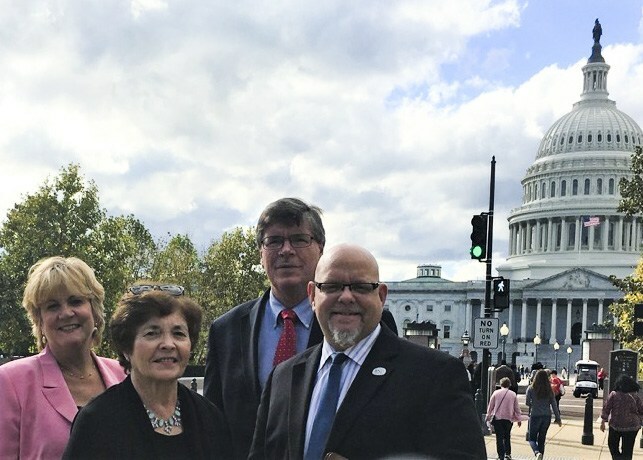 We also support national efforts such as the Alice Cogswell Anne Sullivan Macy Act which will ensure specialized instruction specifically for students who are visually impaired, deafblind, or deaf or hard of hearing. Click here to visit the AFB's website to learn more. Today's schools are not prepared to help children who are deaf-blind, deaf or hard of hearing, blind, or visually impaired develop to their full potential. To ensure that these students receive the education they deserve, the Alice Cogswell and Anne Sullivan Macy Act (H.R. 3535) that was introduced in Congress in September 2015. 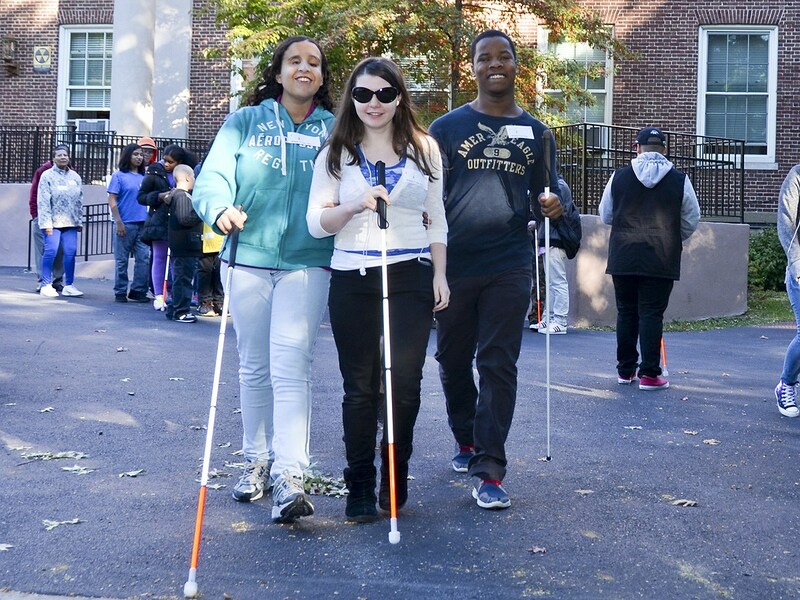 Celebrated each year on October 15, NYISE's staff and students recognize White Cane Day with an array of fun activities and a parade down Pelham Parkway to acknowledge the abilities of people who are blind and to promote equal opportunities. 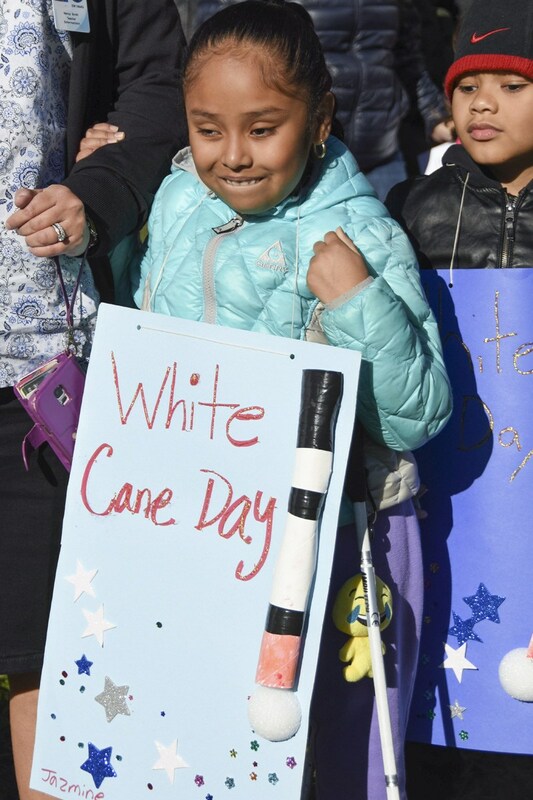 Click here for a video from our 2017 White Cane Day celebration. 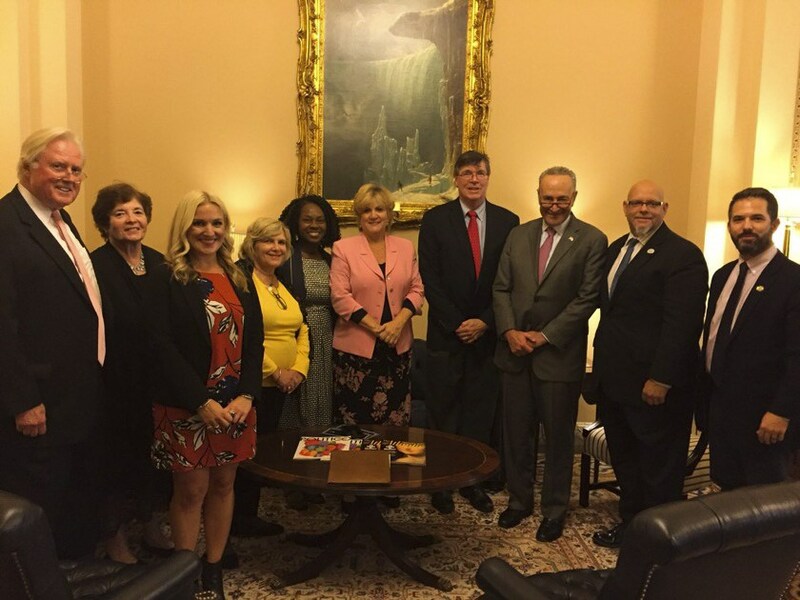 Educational leaders representing seven New York based schools specializing in providing educational opportunity for children with low-incidence disabilities traveled to Washington, D.C. to advocate for the Cogswell Macy Act and Individuals with Disabilities Education Act (IDEA) funding on October 24-25. 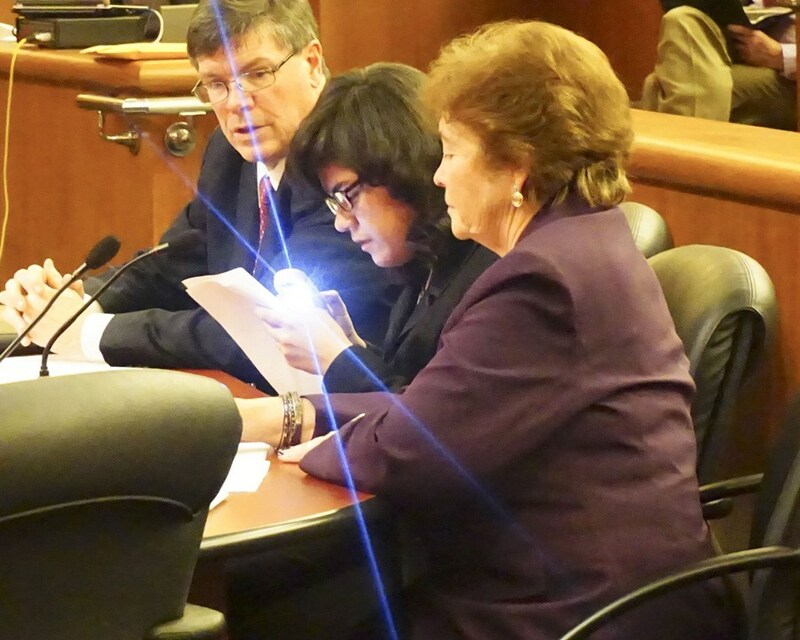 Using her low vision aid, Vivian reads her testimony. 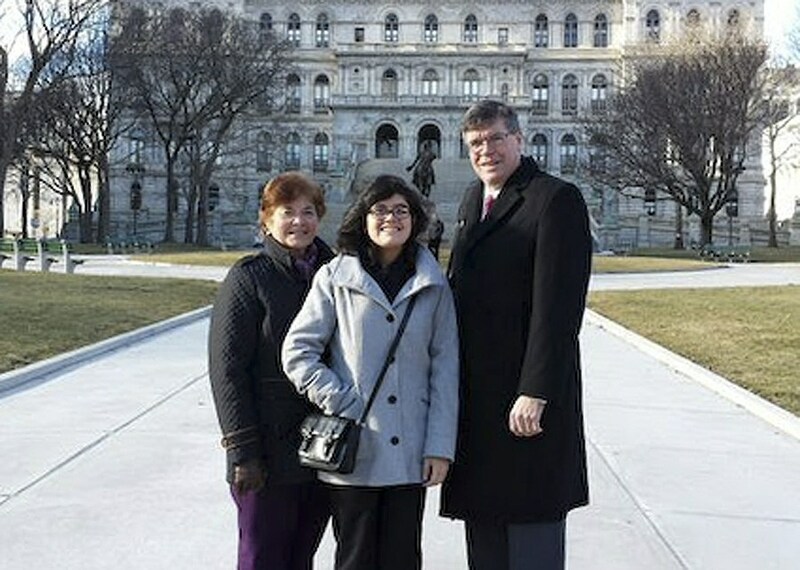 Vivian and staff standing before the Assembly building. with a Parade down Pelham Parkway.